Both in life and on the blog, 2015 was a big year for me. I took up rock climbing, and started driving in Algiers traffic. I witnessed two dear friends marry, and a dear cousin leave us too early. I took on a new job here in Algiers, and gained enough free time to adopt exciting side projects—not to mention a dog. Bourek's arrival has certainly marked the year, and transformed how I spend my waking hours. On the blog, I managed to publish only about half as many entries as I had hoped to, and only a fraction of those that I began drafting. 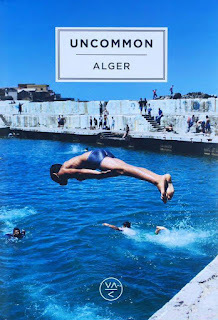 Yet this year I also published my most widely read post ever, "16 Essential Algiers Experiences", along with other reflections on daily life in Algeria. 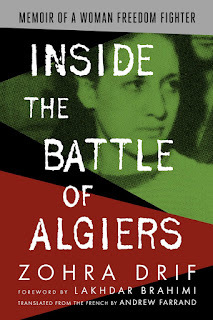 With Nina and other friends, I traveled to Berlin, Mallorca, Marseille, and several new destinations in the Algerian Sahara, including Taghit, Bou Saada, and Timimoun (a writeup on the last one is on the way). And I looked back a decade later on my first forays into the Middle East, with retrospectives on my time in Syria and Jordan. 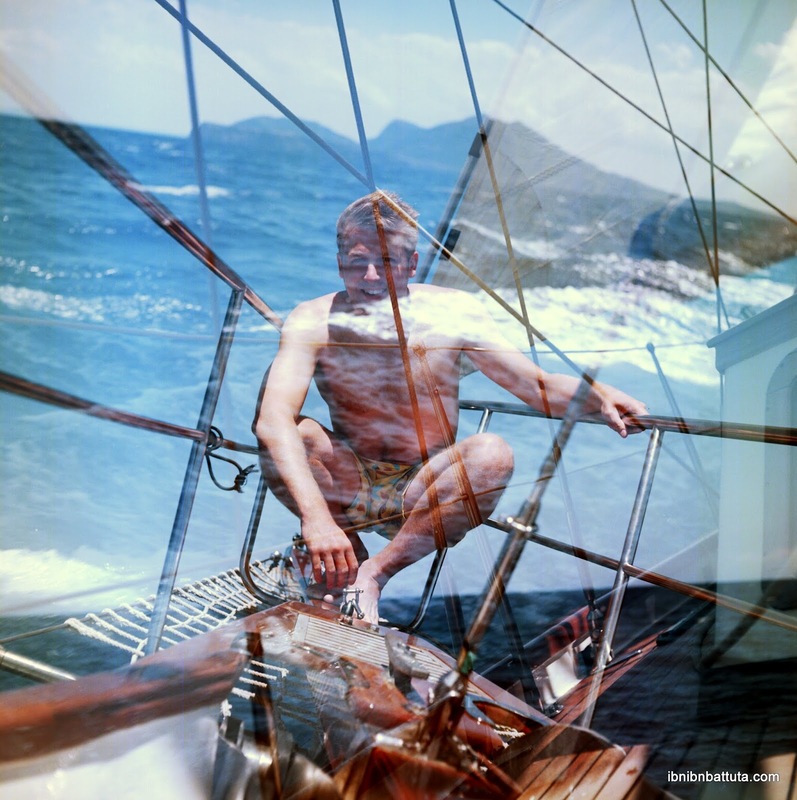 I continued cataloging my travels with the Rolleicord, sharing images on Instagram. 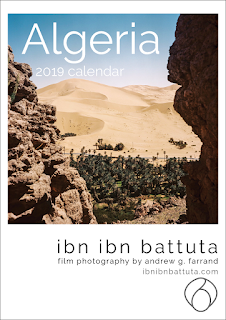 I also sold my soul and released my first commercial product, the "Algeria 2016" holiday calendar that sold out several times over, far outstripping my expectations. 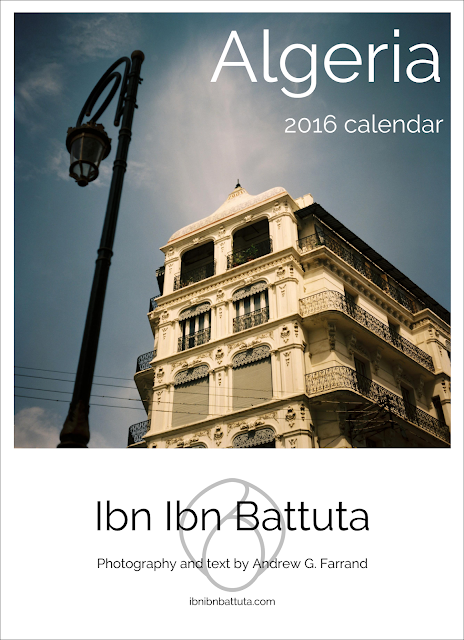 This year also marked the first time a perfect stranger walked up to me (in the Algiers airport) and asked, "Are you Ibn Ibn Battuta?" Best of all, I received great feedback and had engaging exchanges with readers and friends around the world. Thank you all for reading, reflecting, and sharing. I look forward to more travels and more exchanges with you all in the year to come. Safe travels and best wishes to all in 2016!